Formal Indian education in America stretches all the way from reservation preschools to prestigious urban universities far away from Indian cultural centers. This educational journey spans two distinct value systems and worldviews. At their meeting is the opportunity for the two cultures to both teach and learn from one another. 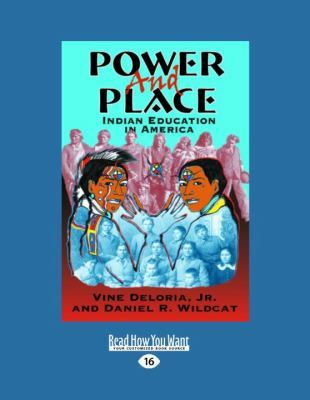 Power and Place examines the issues facing Native American students as they progress through the schools, colleges, and on into professions. This collection of sixteen essays is at once philosophic, practical, and visionary. It is an effort to open discussion about the unique experience of Native Americans and offers a concise reference for administrators, educators, students and community leaders involved with Indian education.